Have you ever taken a Jung Typology (or personality) test? 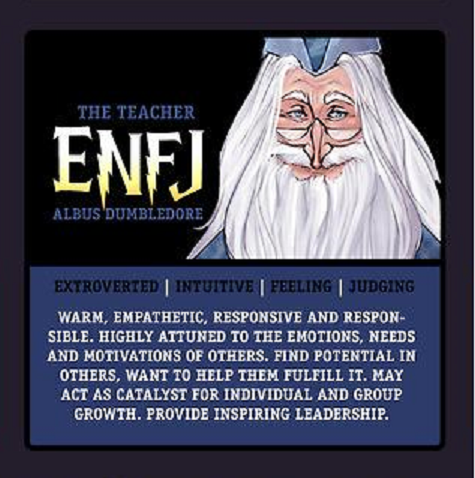 I probably took one a long time ago but, thanks to Shannon tweeting about her result a while back, I recently took it again (then compared it to a Harry Potter character) (more on that later) and my result was ENFJ. After reading up on several websites, I feel like this test is pretty on point, and it's a little more "evidenced based" (<--heeeyoooo nursing term) than astrology. And you all know how much I love astrology. Oh, you don't? Well I love it. I've matched my sign with every boy I've ever dated and most of my friends to see if we were compatible. I don't take that ish lightly. 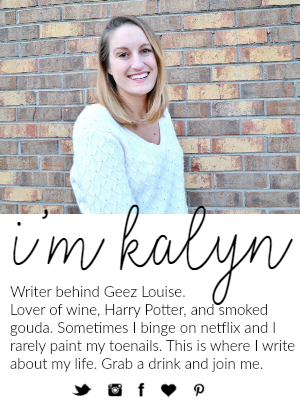 All in all, I think the descriptions I read fit me pretty perfectly. 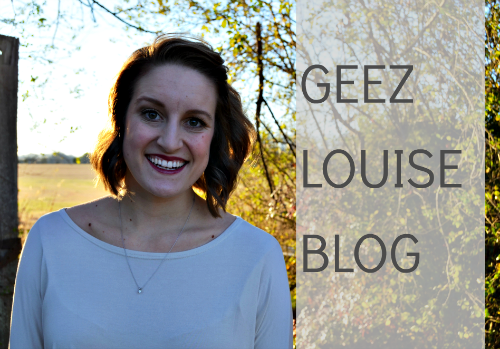 Of course there were some things I disagreed with a little, most of it was pretty accurate. I also read something about ENFJs need to hear words of affirmation often, which totally matches up with my love language. My Harry Potter comparison character was Albus Dumbledore so obviously I win at everything. Even when I'm dead people will still be asking my advice and seeing me when they get to heaven. Or the train station. Whatever. 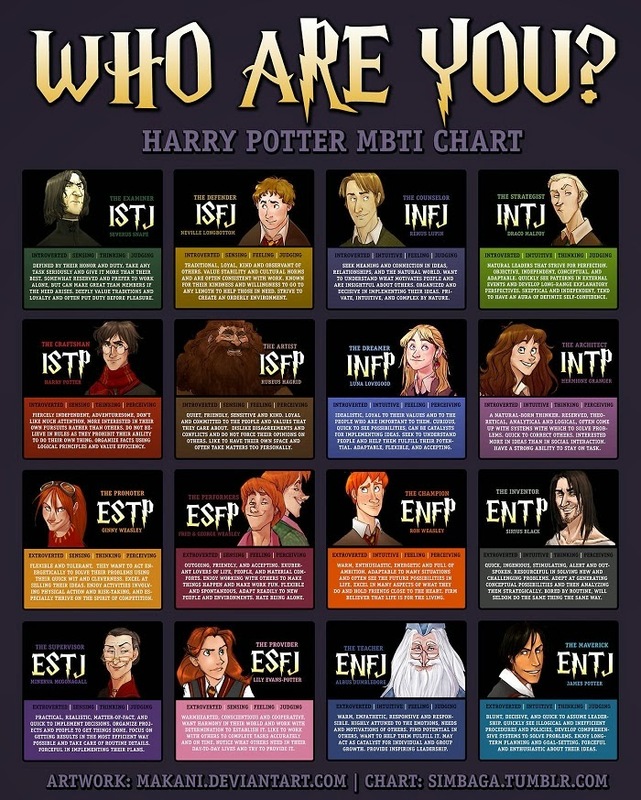 Take the Jung Typology test here then compare your result to the list of Harry Potter characters below and let me know what you get! Or don't, it's a free country. I'm an ESFJ (aka Lilly Potter)so we're pretty similar!! I will be doing this right freaking now. I'm an ENTJ. James Potter. Bluntness for the win. STILL jealous that you get to be Dumbledore and I'm Hagrid. I'm ESFJ a.k.a. Lily Potter - I think that is pretty on point. Thanks for the quiz - I am at home with a broken foot, so this was a fun distraction! These experts assume the entire liability of the move of their clients. They handle the whole errand such that the move turns out to be simple. Une agence de recrutement de personnes à Warrington a commenté basket nike air max 1 essential femme les opportunités offertes par la ville de Stockport: «Il existe une vaste gamme d'emplois Stockport et d'opportunités d'emploi, que vous souhaitiez travailler dans un magasin, un hôtel, un garage ou un salon. L'espoir, c'est que tandis que le reste avec le marché va dans une direction personne, si Nike Shox Deliver seul va dans un autre, il les distinguera de la meute. La magnificence de Paris, son fonctionnement architectural, ses œuvres d'art, ses monuments, ses musées, son histoire et sa culture donnent air jordan 31 à chaque visiteur une expertise précieuse. Maintenant, pour ne pas dire qu'il n'y a pas de bons produits là-bas que nous devrions toujours prendre, mais une grande majorité de suppléments nous nuisent plutôt que de nous aider. Parfois, la popularité de la fleur est jugée en fonction de leur utilisation. Les exercices d'assouplissement peuvent améliorer l'érythrisme du système nerveux, ajuster le mauvais état avant la course, accélérer Jordan 6 enfants la vitesse de réponse du cerveau et préparer la course.